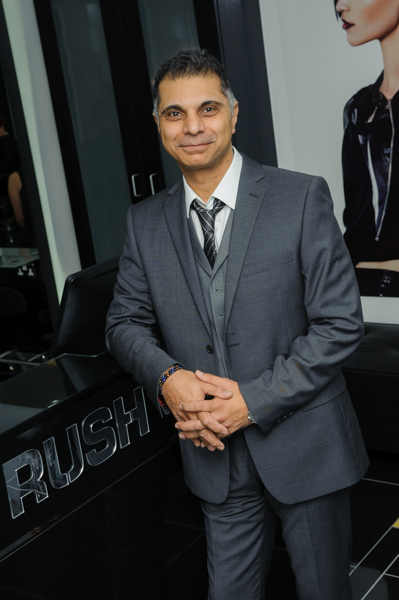 Continuing to grow across the UK and now reaching the Capital of the West Country Rush have landed in beautiful Bristol opening salon No.74 with Franchisee, Sohan Singh. Joining Sohan for the opening Rush Bristol was Lord Mayor, Cllr Clare Campion-Smith, Rush Co-Founders Andy Phouli and Stell Andrew with Operations Director George Phouli. Rush are pleased to welcome franchisee Sohan to the family and are looking forward to seeing Rush Bristol blossom! Tell us about yourself Sohan, what did you do before deciding to become a Rush Franchisee? SOHAN: I’ve worked hard owning a wide range of businesses for over the last 30 years. I enjoy owning retail spaces across London and have started to venture out across the country. I have previous business experience in the Hair and Beauty industry, it was Rush’s franchise model that attracted me for my next business. Why did you choose to franchise with Rush? SOHAN: I have spent several years in the Hair and Beauty industry and it is a very strong and growing market. Continuing to expand into this industry was familiar territory for me and I was drawn to franchise with Rush because of their vision for their brand. I felt confident and supported going into business with Rush because of their high standards and service quality for their clients and business partners. It was a company I wanted to be a part of. What made you choose to open a hair salon franchise in Bristol? SOHAN: Bristol is a growing with investment pouring into the city, I felt it was the perfect time for Rush to expand and open in one of England’s biggest cities. The salon location is right in the heart of Bristol’s new shopping district amongst all leading high street brands. I feel Rush will do very well here. To become a Rush franchisee you don’t necessarily have to have experience as a hairdresser. Rush encourage all enthusiastic and creative business minded individuals who share our passion to take on the challenge and benefits of becoming a Rush franchisee. Meet more of our other franchisees to hear about their journey.